The U.S. Army and Marine Corps have tested a remote-controlled small unmanned aerial system that was manufactured through the use of three-dimensional printing technology. 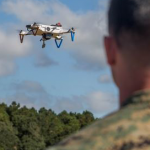 USMC said Tuesday the Army Research Laboratory brought together Marines from various military occupational specialties to demonstrate the functionality of the SUAS platform. 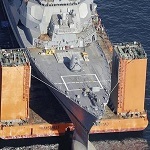 The test occurred at Camp Lejeune in North Carolina on Sept. 26 and 27. “At this point we are focusing on intelligence, surveillance and reconnaissance missions,” said Eric Spero, a team leader in ARL’s vehicle technology directorate. He added the SUAS is designed to employ multiple camera systems such as infrared and daytime cameras. Additive manufacturing techniques can work to help manufacturers construct and set up SUAS within a 24-hour period, USMC added.